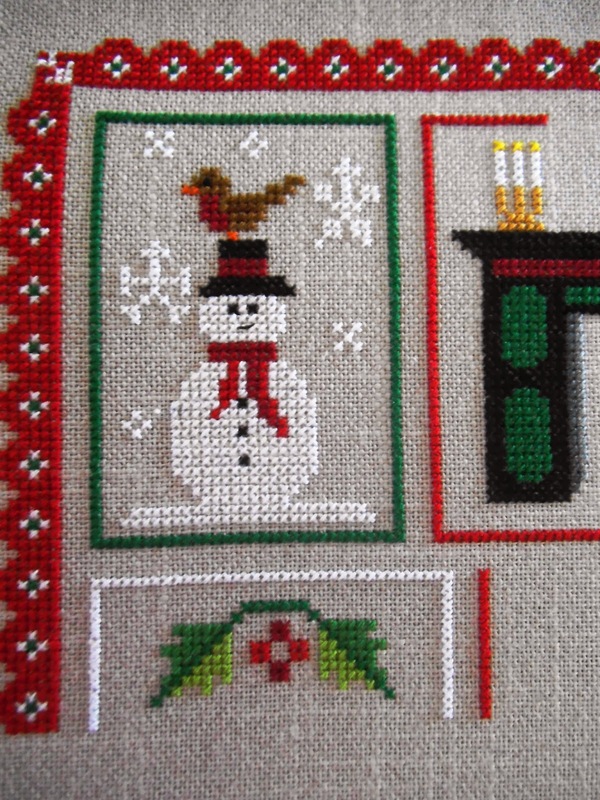 Stitchers Anon: Second Part of the Victorian Christmas Stitch Along! 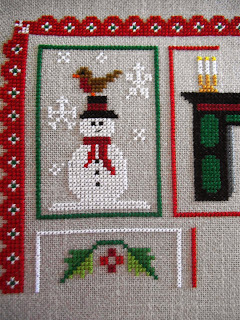 Second Part of the Victorian Christmas Stitch Along! You can find the second page under the SAL page of this blog. Here is a little sneak preview! I have also updated the colour key: there has been an addition and yes, there may be further changes. There was a slight booboo on the first page: two stitches of 498 are missing from the end of the scarf. I have added an updated chart for the first. I was a bit upset I had missed this but most designers offer corrections pages and disclaimers so I guess I'm not alone! Keep safe and warm in this blustery weather we are having! A perfect excuse to stay in and stitch! Looking good, hope the storm didn't affect you. Mistakes happen... It is looking good! Hugs!